Wall Street’s main regulator has a new worry in its race to keep tabs on the cryptocurrency craze: hedge funds. The U.S. Securities and Exchange Commission is examining the business practices of a cadre of funds set up to invest in cryptocurrencies and initial coin offerings -- digital-token sales that give buyers stakes in companies, said three people with knowledge of the matter. Since hedge funds manage money for outside investors, the SEC wants to make sure firms are appropriately valuing holdings and keeping clients’ assets safe. As part of its review, the SEC recently sent a number of requests to crypto-focused funds asking how they price digital investments and seeking information on their compliance with rules meant to prevent the theft of investors’ cash, said the people who asked not to be named because the examinations aren’t public. In certain cases, the regulatory scrutiny is more severe. Some funds have received subpoenas from the SEC’s Enforcement Division, which investigates firms for potential misconduct and punishes them if it finds wrongdoing, one of the people said. There are about 220 crypto-focused hedge funds that manage at least $3.5 billion combined, according to Autonomous Research, which analyzes financial firms. While that makes the sector a small corner of the $3.2 trillion hedge fund industry, it poses challenges for the SEC. Many of the firms oversee less than $150 million, which means they aren’t required to register with the agency. Instead, they are typically regulated by the state in which they’re based. 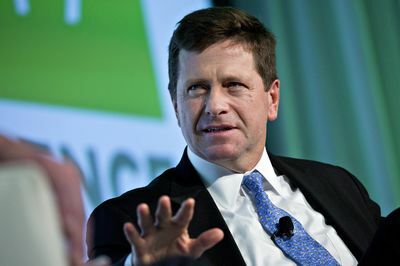 The focus on hedge funds stems from concerns that have bothered SEC officials for months: They believe that investors are pouring billions of dollars into crypto assets without adequately assessing the risks and that some people profiting from the red-hot market may be breaking the law. SEC Chairman Jay Clayton has repeatedly cautioned that ICOs in particular are susceptible to fraud. Despite the warnings, the token sales have already raised about $3 billion this year, according to estimates from the website CoinSchedule. Last week, the SEC reiterated that some digital-coin trading platforms might be skirting the law by not registering with the agency. And the SEC has already sent subpoenas to several companies involved in ICOs because it’s concerned they could be selling securities illegally, a person with direct knowledge of the matter said earlier this month. Some of the information requests recently sent to funds were issued by the SEC Office of Compliance Inspections and Examinations, or OCIE, said one of the people. If OCIE spots signs of misconduct, it typically refers its findings to the enforcement unit, which has a cyber group that has coordinated much of the agency’s review of digital tokens. Scrutiny of how hedge funds value assets is common in SEC examinations because it directly impacts the level of fees that firms charge investors for managing their money. The more investments are worth, the higher the fees. For ICOs and cryptocurrencies, hedge funds’ pricing methods are arguably even more worthy of attention because most trades occur on venues with limited transparency that lack federal oversight. The SEC highlighted some of the risks in a March 7 statement when it said unregistered crypto-trading platforms probably don’t have the same protections against fraud and manipulation as the nation’s stock exchanges. Another target of the SEC’s inspections unit is how crypto-fund managers safeguard their investments and clients’ money, the people said. The agency wants to know whether funds are complying with rules requiring firms to hold assets with qualified custodians, usually banks or brokerages, as a way to prevent misappropriation. This issue is particularly vexing for digital tokens because many are held in virtual wallets, which have been subject to hacks. The SEC has also been asking funds about relationships they might have with companies they’re investing in, according to one of the people. Specifically, the agency has questioned whether firms have properly disclosed any potential conflicts of interest, such as fund managers holding personal stakes in ICOs, the person said. The SEC has issued at least one subpoena asking a hedge fund about its investment in an ICO, one of the people said. And in a separate inquiry, agency enforcement attorneys have questioned some investment banks about their involvement with token sales, another person said. Another SEC concern is what’s known as a Simple Agreement for Future Tokens, an investment structure that many startups have used to raise capital by selling rights to tokens that haven’t yet been issued, one of the people said. Some companies have used SAFTs to try to avoid having to register their ICOs with the SEC.